We are a driving school based in Bedfordshire. Our driving school covers Luton, Dunstable and surrounding areas. Learning to drive is a big step for anyone to take and whether you are a new driver or someone who has previously had driving lessons and you need refresher driving lessons, Sam’s driving school can teach you to drive in a safe yet enjoyable way. Do you want to improve your chance of passing your driving test 1st time? Do you want to loose your L plates sooner with an intensive driving course? Are you looking for a reliable, experienced and friendly instructor? Are you nervous about driving and want a driving instructor who is patient and calm? 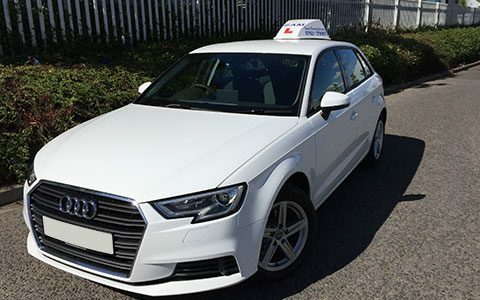 Sam’s driving school can help you with your needs whether you have never taken driving lessons, need to pass the driving test in a hurry or you are maybe nervous about the thought of driving, we can take care of it. Learning to drive is a big step for anyone to take and finding the right instructor is an important part of making it a successful one. Sam’s driving school can make this a safe and enjoyable experience.